The garden work has come to an end for a while because I am out of time! This coming weekend is the last weekend I have to finish my mother’s room and to get a few things organised for her arrival, which by the way involves me having to fly to Florida and drive her up the 12 + hours in her car… without any music in the car because it makes her “nervous.” There is also a possibility of a hotel stay overnight on the way because we won’t be able to leave early due to the closing on her home around 10 AM. My mothers movers arrived earlier this week and delivered the “few” items she decided to keep. The weekend before I cleared out my library and moved all of its contents into the dining room, which is now a complete mess and is barely accessible, but currently there is no other option on where everything can go. 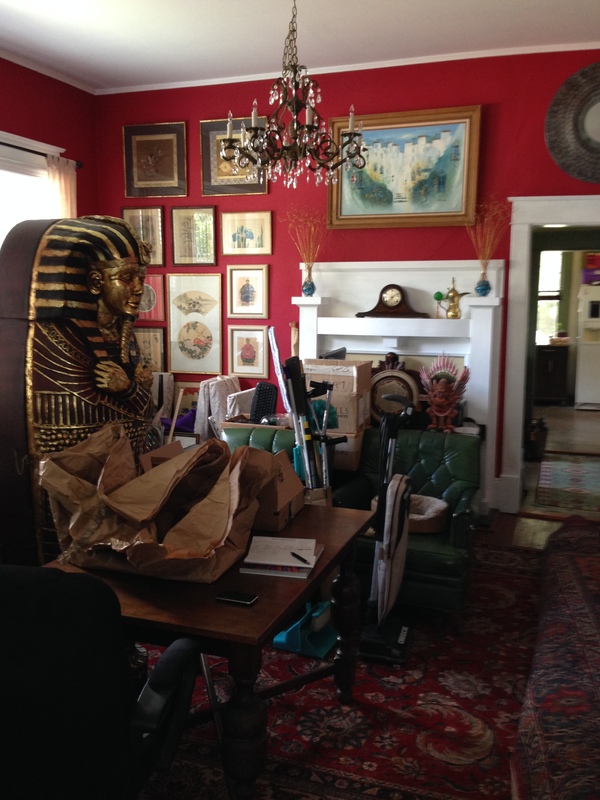 Contents of my library… in the dining room. I have taken off days from work the week of the 15 – 19 June. This will give me time to return with my mum and get her settled as well as taking her around to do all those things one does when one moves. 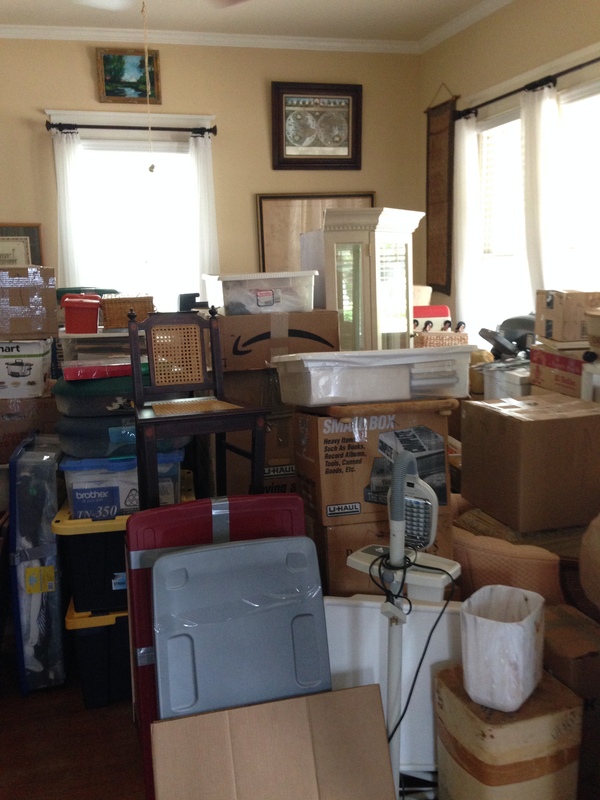 Hopefully we will be able to make sense of all the boxes of belongings and find a place for everything. I also hope to be able to return to the garden a few times during those days off. 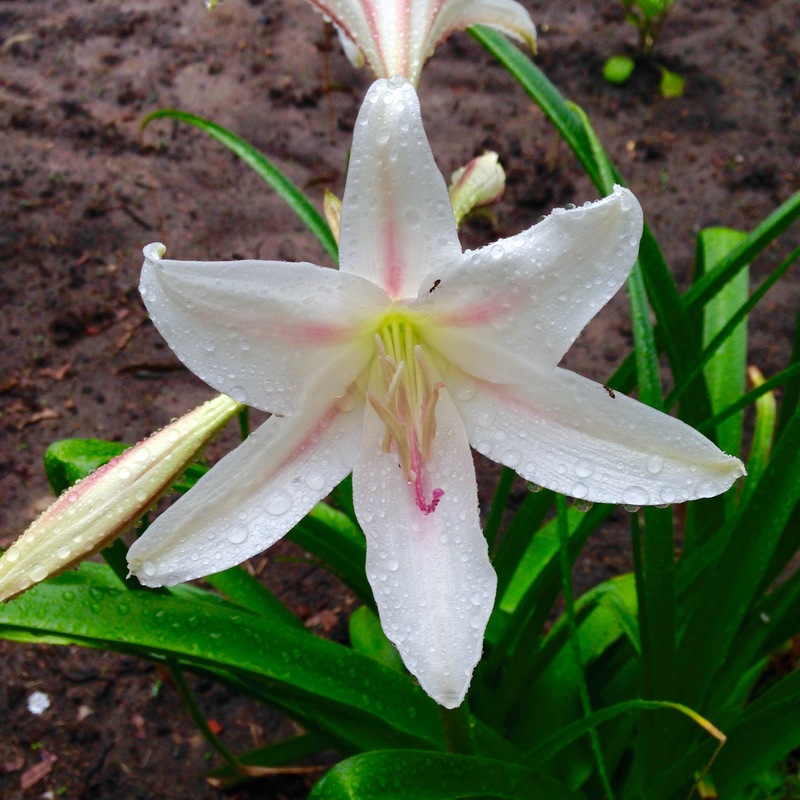 A Crinum lily in the potager this morning.